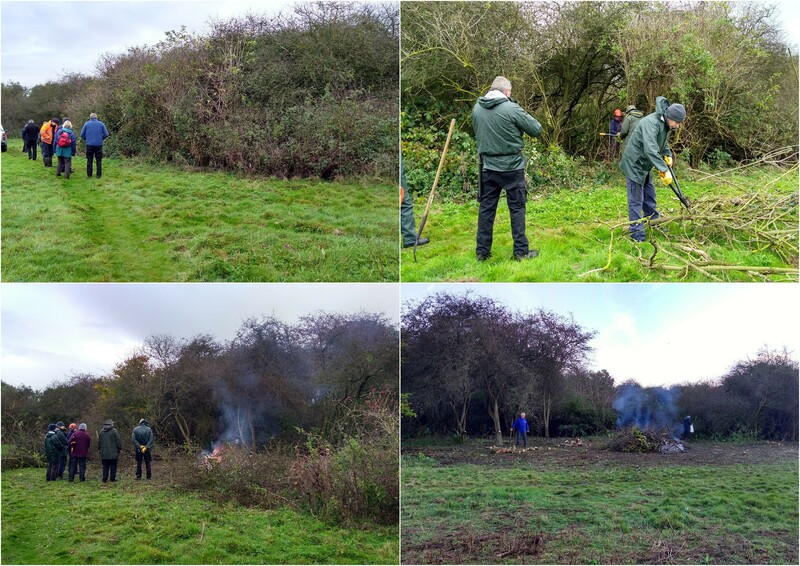 This week we were with Matt on ‘Swardeston Common’ clearing ‘Blackthorn’ thickets, which if left unmanaged would completely colonise the whole common, (There is, right on the edge of the common a ‘’Blackthorn Farm”) which suggests that Blackthorn is a well-established occupant of this common. Towards the end of the day, one of the local residents, whose house boarders the common, came across to talk to us whilst he was walking his dog. He made comment to the effect that he appreciated the conservation work we are doing on the common, because earlier on this year, in the spring, there were several ‘Nightingales’ singing, in the scrub, very close to his house. He was highly delighted about this and a conversation began about ‘Nightingale’ habitat. These birds are a summer visitor to our shores, flying in from West Africa about mid-April for their breeding season and are gone by mid-July/August. They are very fussy about their habitat, preferring dense scrub. In the past it was thought that their preferred habitat was coppiced woodland but in the last thirty years, surveys have found that dense scrub have become increasingly important. The latest surveys suggest that 50% of breeding birds inhabit scrubland as opposed to woodland. They are a small bird, about the size (and in the same family) as a ‘Robin’. They look for their food on the ground where the dense foliage gives them cover from predation, hence they are not often seen but more usually heard. If the canopy of the scrub gets too ‘leggy’ and too high, which will reduce their cover, the birds will move to another site. 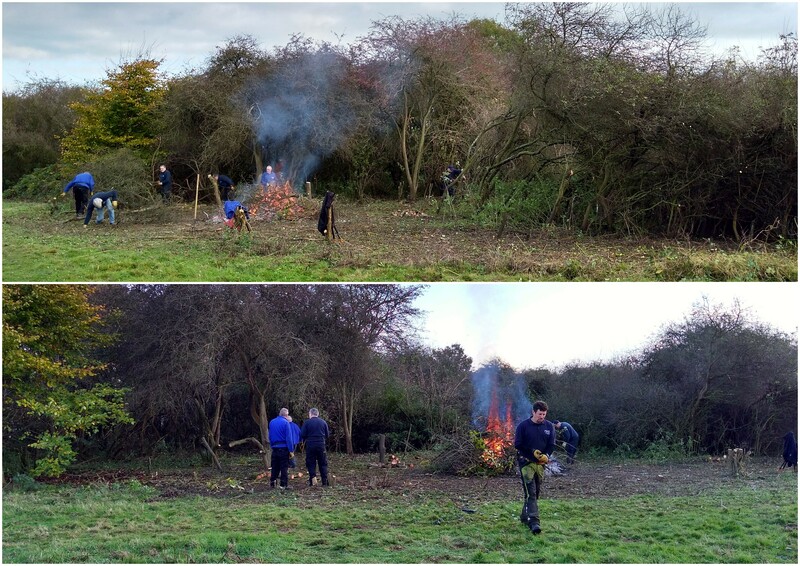 Making sure that there is a constant supply of vigorously growing scrub will help to maintain their presence. What they seem to prefer is a canopy of about two metres in height which grows down close to the ground and is surrounded by areas of rough grass. Many of the best sites will contain blackthorn, hawthorn, nettles, dog rose, willow, and brambles. It is the structure of the scrub that is important rather than the species of plant that the scrub contains. Constant thinning on a rotational basis is the best way to maintain a vigorously growing habitat. Structurally diverse areas with patches at different stages of growth are more suitable to nightingales than large areas of uniform scrub. So, to keep ‘Swardeston Common’ an attractive place for Nightingales (and other wildlife), managed conservation practices on the site are essential.